Last week we asked the question, “How does a person actually live the Kingdom?” When it comes to being a Kingdom disciple there are many things to keep in mind. This new life is, after all, in polar opposition to almost everything we’ve learned under the present world system. But possibly the most central characteristic of a Kingdom disciple is the childlike love relationship he enjoys with the King. When God launched his epic plan to undo the destruction of sin, he did not send a book to be read, a legal code to be followed or a philosophy to study, but a man we could know. “The Word became flesh and moved into the neighborhood.” (John 1:14 The Message) This invitation into love and friendship with the King is the womb of all activity for the attentive disciple . Kingdom citizens wake up in the morning knowing they’re loved, and having their ears pinned to the heart of Jesus. They expect to hear his voice, and are eager to respond when he says, “Son, daughter… let’s do this today!” Notice – He works with us! He includes us! He never sends us out to work alone because in God’s eyes every day is “Bring your kid to work day”. We live, work, love, and create with Him, because partnering with us has been the intention of his kind heart from the beginning. 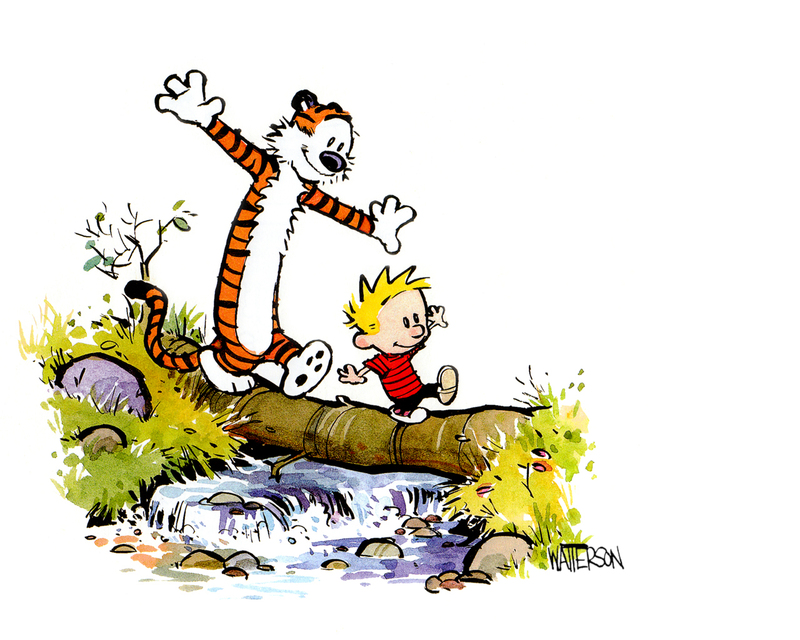 The relationship between God and the Disciple of the Kingdom is a bit like the friendship between Calvin and Hobbs, who awaken each morning in the embrace of friendship, off on yet another new adventure. And best of all: they get to do it together! Oh, my! LOVE this, Don! What a perfectly encouraging word to start my day. Thank you! Wish I see more of this in Isaiah or Jeremiah. Paul and Peter and even John locked up in his prison. Luke could’ve written like this, instead of that stuff in acts. Hey Steve! Good to hear from you again! I’m assuming you’re speaking facetiously and taking issue with what I’ve written, and not actually affirming your preference of my perspective “against” the Biblical writers. Could you offer a clear example of how I seem at variance with the prophets and apostles? I take your thoughts seriously, and want to correct myself if I’m off. A number of texts come to mind in the writings of these men which affirm a simple, childlike faith in, and dependence upon God. But I want to be certain I understand your point before addressing it. Shalom! I love reading your posts. I’ve learnt a lot about that during the last couple of weeks, hardly sleeping, hardly eating, barely managing because of the intensive course i’m doing. Waking up every day knowing i’m his beloved daughter, and that if i fail or stand doesn’t change that fact, has really fueled my relationship with him. Seeking him has given me rest and joy in the midst of all “criteria” and “assessment” and the “constructive feedback” (which only makes me want to cry) i’m surrounded with now.